Hemp is a fast-growing, herbaceous, annual plant. It can grow in height from 1.5 to 5.0 metres, has a stem diameter of up to 4cm and has a deep tap root. Hemp is believed to have originated in the highlands of the Himalayas, and spread out from this region. China has farmed and cultivated hemp for its strong fibre since at least 8000 BC. Along with silk, hemp was a key textile in China and used by many for clothing because it was less expensive than silk. Throughout history the term hemp has referred to as many as 22 types (genera) of plants used for fibre production. In this document, hemp or industrial hemp refers to the plant Cannabis sativa. There are over 2,000 different varieties or strains of C. sativa, which are botanically alike but differ in their chemical make-up. The C. sativa plant contains tetrahydrocannabinol (THC) which at high concentrations is a psycho-active or mind-altering ingredient. In 90% of C. sativa varieties, the concentration of THC in leaves and flowering heads is low and deemed harmless. Prospective hemp growers in Australia need a licence from the relevant state government for cultivation. The cultivation of plants with a THC level of greater than 0.35% in Victoria, Western Australia and Tasmania, and greater than 1% in New South Wales and Queensland, is an offence under relevant Australian state drug laws. There are three usable parts of the hemp plant: the inner fibres (hurd), the outer fibres (bast) and the seeds. Different varieties are grown for either the fibre or for seed, although there are some varieties that are dual purpose. Production systems for hemp are geared to producing either fibre or seed, but generally not both. Industrial hemp has a wide range of applications including textiles, paper, rope, fuel, oil and stockfeed as well as building materials, cosmetics, inks and pet feed. The hemp industry in Australia requires an increase in the scale of production, better understanding of the agronomy, more efficient mechanisation for harvesting and processing, and long-term markets to be established before the hemp starts to become a really valuable crop in Australia. The largest hempseed producing nations are France and China, while China, the Netherlands and the Democratic Republic of Korea are the largest fibre producers. There are also substantial hemp industries in Canada and Europe. Industrial hemp can be produced in parts of Australia under strict licensing conditions. An estimated 185.5 hectares of industrial hemp were planted in Australia in 2011, most of which was irrigated, producing around 93 tonnes of hempseed. The estimated gross value of Australian hemp production in 2011–12 was around AU$300,000. There are also Australian imports of hempseed products, particularly from Canada and the European Union. Industrial hemp is a source of both fibre and seed. Traditionally industrial hemp has been used in items such as textiles, paper, rope, fuel, oil and stockfeed. Other more recent applications for industrial hemp fibre include composite building materials, oil and chemical absorption materials, animal bedding, kitty litter, and motor vehicle parts. Hemp oil is extracted from the seed, and has been used for cosmetics, paints, printing inks, solvents and animal feed. In New Zealand, the cold pressed oil is permitted for human consumption. 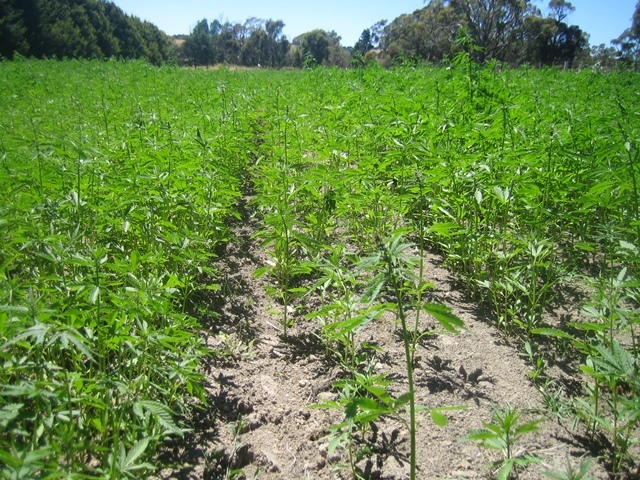 Industrial hemp has been grown in trials in most states of Australia with varying success depending on varieties and agronomy. 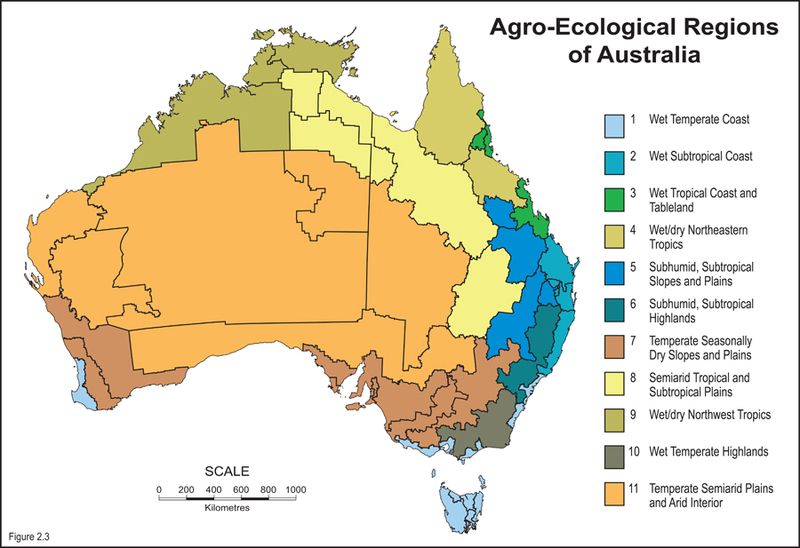 Commercial crops are grown in all states of Australia, except South Australia, which is currently running trials. Industrial hemp may grow on a wide variety of soil types but has been observed to perform well on fertile, neutral to slightly alkaline, well drained, clay loam or silt loam soils. Good moisture and nutrient holding capacity are important because of the quick growth rates of the plant. Hemp is very sensitive to wet, waterlogged and flooded soil, so growing the crop in poorly drained soil is not recommended. Hemp is also extremely sensitive to soil compaction. Hemp grows in temperate, subtropical and tropical climates. It generally prefers a mild climate (optimum temperatures for growth are 15–27°C), a moderately humid atmosphere and rainfall of at least 600–700mm year. Industrial hemp is a short-day plant, i.e. the plant requires a set number of successive short days for flower initiation. It also has a high light requirement during its growing period. In temperate regions, industrial hemp can only be grown in the summer months. Hemp is a genetically diverse species, with varieties adapted to a wide range of latitudes and climatic zones across the world. Historically all developed fibre varieties of hemp in the world were bred in Europe and therefore not adapted to Australian conditions. There is limited information about suitable varieties in Australia, however since the early 2000s, private companies have been undertaking plant breeding and selection trials to develop varieties suitable for Australian production. New entrants to hemp production should consult an advisor or agronomist to discuss varietal options for their region. New hemp producers should seek advice on planting and crop management from an advisor or agronomist prior to planting, as management systems and agronomy for hemp are not established for every region. The best production conditions are a well-prepared seedbed, well-fertilised soils, and regular irrigation or rainfall. Hemp seed is available from authorised growers who produce seed under relevant state licences; or it may be imported into Australia, according to quarantine regulations. Hemp can be sown from October through to March or April at any time the soil is not saturated or boggy. Maximising plant production is important for hemp grown for fibre, and these crops should be sown as early as possible, whereas hemp grown for seed is best sown later to minimise stalk height. Plant density is important, as it will influence the fibre content and proportion of stem in the crop, which are key components of productivity for fibre crops. For fibre production, about 250 plants per square metre is desirable, which equates to a sowing rate of 50–70kg/ha. Sowing rates will differ based on seed weight, agronomic conditions and end use of the crop (fibre or seed), so seeking advice before planting is recommended. Hemp is intolerant of waterlogging, compaction and anaerobic soil conditions at germination and establishment. The soil surface should be kept moist until germination occurs and adequate moisture during the first six to eight weeks of crop establishment is important to ensure maximum growth rates and early canopy closure for the effective suppression of weeds. Without rainfall, the crop will require 3–6ML of irrigation water per hectare. Trials with flood irrigation in various areas of Australia have shown reduced yields compared with overhead irrigation. Production has been successful on raised beds in furrow-irrigated systems. 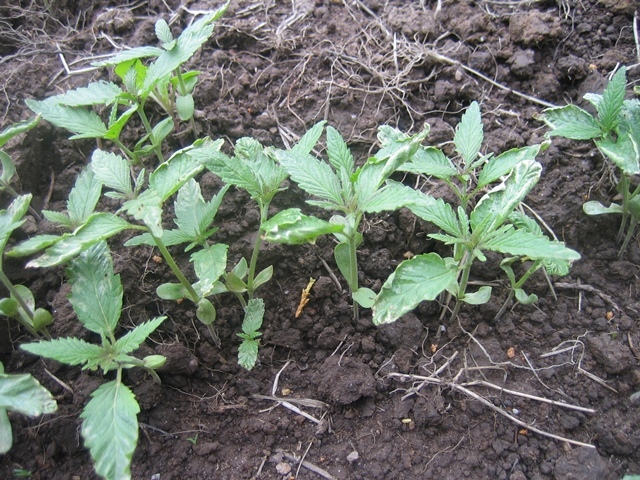 While a better understanding of nutrition and fertiliser requirements is needed for Australian production, it is generally acknowledged that hemp needs significant amounts of nitrogen in the first 6–8 weeks of crop growth and applications of potassium and phosphorous will be needed during flowering and seed formation. Hemp is considered an efficient weed suppressor if densely planted and as a result, herbicides are not widely used. There are no registered chemicals for weed control in a growing hemp crop but a dense stand of hemp plants is effective at shading out weeds. The main weed competitors are thistles, brassicas and stinging nettle. The benefit of being a fibre crop (where the economic product resides inside the stem rather than as a fruit or flower) means hemp does not have many significant pest and disease problems. In most cases, where there are pests and diseases present, there is no significant impact on productivity. Browsing wildlife, grasshoppers and locusts can be pests as can birds. Birds will strip the flowers of seed and harvesting usually begins as soon as there are signs that birds are stripping the seeds. Many pests have been recorded in hemp crops across Australia, but few have warranted control. In fibre crops, heliothis, red shouldered leaf beetles, green vegetable bug, jassid and lucerne flea have been recorded and cutworm has been experienced in Tasmania. 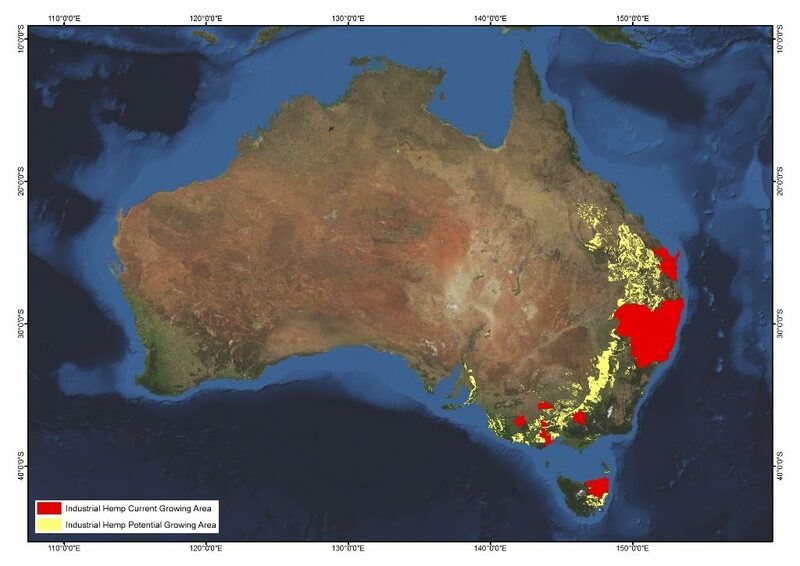 Fungal attack has caused minor occurrences of plant death in trials in Queensland and New South Wales and has been identified as white mould (Sclerotium rolfsii). The infection has been more prevalent in clay soils or where frequent watering occurs, creating a wet-dry cycle which encourages the disease. In cooler moist conditions of southern Australia, Botrytis cinerea in hemp grain crops may be a problem. Root knot nematodes have been identified in the root systems of hemp in cropping soils where nematodes are known to be a problem, for example in sugar cane growing regions. Hemp seed can be sown using a conventional disc drill, to a depth of about 25mm. A standard combine harvester can be used, although care needs to be taken to ensure the tough fibres do not wind around machinery. 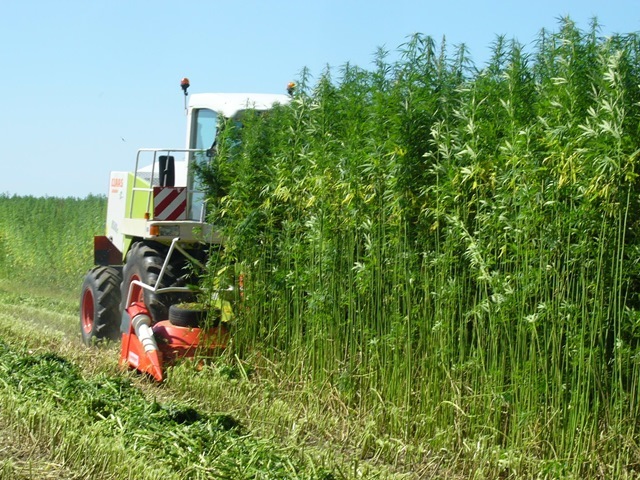 The lack of specialised mechanical harvesting and processing equipment has been identified as limiting the growth of the industrial hemp industry in Australia. Apart from land, the infrastructure required to grow hemp will include machinery to plant, fertilise and harvest the crop. Tractors, quality sickle-bar mowers, hay swathers and balers have been used to grow hemp on small acreages. Rakes will be needed for the retting (drying) process. In some regions, there are contractors available for cutting and baling hemp. Baled fibre will require dry storage facilities such as sheds or waterproof covering. Depending on the growing region, an irrigation system may also be required to ensure an adequate water supply. Industrial hemp is harvested for either fibre or seed, but generally not both. Harvesting of hemp for fibre occurs as soon as the last pollen is shed but before seed sets, which is normally about 70–90 days after planting. Harvesting for seed would occur 4–6 weeks later than fibre harvest, when 60–70% of the seed has ripened. Birds will very rapidly strip seed from hemp plants and so harvesting usually begins as soon as there are signs that birds are stripping the seeds. 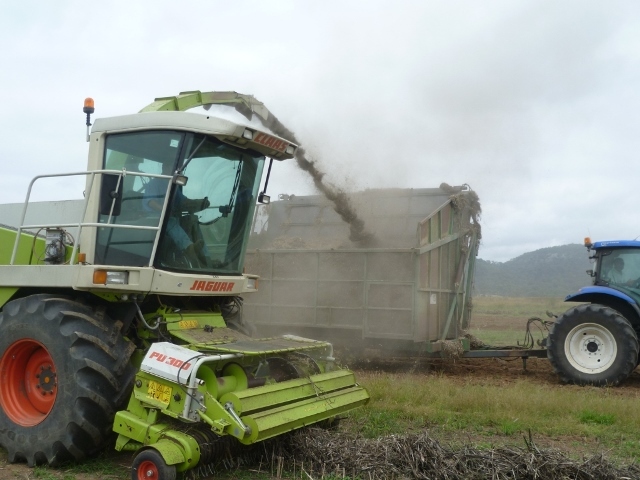 Mechanical harvesting for hemp is yet to be refined in Australia and some operators have imported specialised machinery from Europe. New equipment may be developed in Australia, however in the meantime good quality sickle-bar mowers and hay swathers have been used to cut industrial hemp. Frequent clogging and blunt blades are a particular problem with smaller equipment so as plantings increase, more sophisticated equipment will be needed. In some regions, there are contractors available for the harvest operation. Industrial hemp is cut and dried (retted) in the paddock before being baled. Retting is the process in which microbes (fungal and bacterial) break down the fibre stem, enabling easier separation during processing. Depending on the weather, retting will take 14 to 21 days to complete. During retting, the stems need to be turned once or twice, using rakes, in order to allow for even retting. Retting is complete when the fibres turn golden or grey in colour and separate easily from the wood. There are no suitable industrial processes or chemical retting developed for industrial hemp. Baling of hemp can be done with any kind of baler. The buyer will usually dictate the shape (round or square) and size of the bale. When storing the bales, the moisture content of the stalks should not exceed 15%, as this will cause the plant to rot. Bales can be stored for a long time in dry places, including storage sheds, barns or any other covered storage. There is limited market information available for industrial hemp in Australia. An estimated 185.5 hectares of industrial hemp were planted in Australia in 2011 with an estimated gross value of around AU$300,000. In 2012, Australia imported 46 tonnes of ‘true hemp’ fibre and yarn, valued at AU$117,500, but there were no Australian exports of fibre or yarn. For plant fibre cropping to be viable, the proximity to regional processing is paramount, enabling growers to sell to the processing facility and the processor to market substantial volumes of fibre to both global and local markets. These markets are primarily major manufacturing industries, requiring large supply capacity rather than entry-level niche production. There are a number of companies developing regional processing facilities for processing stem and seed. Once these facilities are in place, growers in these areas will have a better idea of the potential returns on hemp crops grown. There is a processing facility that can hull and cold press seed for food but as hemp seed food is not yet approved in Australia the market is limited. 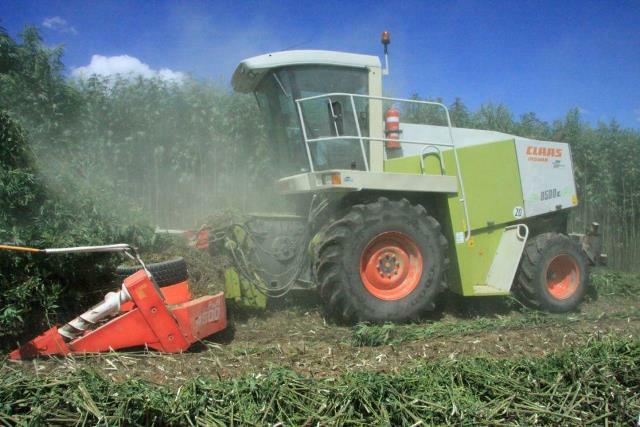 There is also a company that has a processing plant in the Hunter Valley, producing bales of garden mulch and horse bedding in small bales (similar to how sugar cane mulch is sold through hardware stores). With a growing international demand for natural fibres that don’t use many chemicals, industrial hemp has the potential to be a significant industry for Australian growers. However, the economics of industrial hemp production and marketing in Australia remain unclear. Most global production of industrial hemp is undertaken with low mechanisation and high labour inputs; leaving Australia in a potentially uncompetitive position. Potential hemp growers also face a number of challenges including a low scale of production, incomplete agronomic information, limited varieties, imperfect mechanisation for harvesting and no major processing infrastructure or long-term markets. For efficient returns to the grower, close proximity to a processing or receival facility is critical as additional costs of transporting raw material can significantly impact returns. A lack of processing facilities for hemp has been the major impediment to reaching markets for Australian growers. While hemp’s range of versatile end uses provides some optimism for industry expansion, it may be unsuitable to large-scale development in Australia unless viable mechanised harvesting, handling and processing can be developed. Industrial hemp can only be grown in Australia under a licence issued by a state government. This licence is required by growers wishing to grow industrial hemp and/or produce fibre or seed/grain. The cultivation of plants with a tetrahydrocannabinol (THC) content of greater than 0.5% (Australian Capital Territory), 0.35% (Victoria, Western Australia and Tasmania) and 1% (New South Wales and Queensland) is an offence under relevant Australian state drug laws. 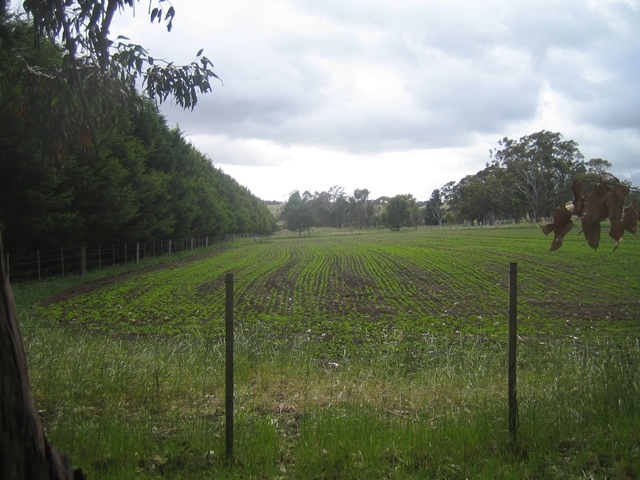 As a condition of the licence, growers may be required to gain approval for the proposed planting location and register that location with the state government. They may also need to agree to inspections and monitoring by state government inspectors. Environmental assessments, and planning and approval processes may also be required and prospective growers should contact the relevant state department of planning for more information. A summary of hemp regulations in Australia and New Zealand is available from Food Standards Australia New Zealand (FSANZ). If purchasing and importing seed from overseas, normal quarantine requirements and screening apply. The Australian Government Department of Agriculture and Water Resources provides the import conditions for industrial hemp seed and information about the relevant permits required.